Pinnacle Hospitality Systems is your complete business solution, offering POS systems to fit any size restaurant or budget. Our credit card processing, loyalty cards, accounting, and inventory systems integrate with your POS system in a single, easy-to-use interface to help improve your bottom line. From the beginning, we’ve wanted Pinnacle to be different from other service companies. Different in how we treat our customers, different in how we work with each other, and different in the results we achieve. These differences are best captured in our 27 Fundamentals that are the foundation for our unique culture. Our Fundamentals serve to guide our team through every step of our business processes – whether it’s in Sales, Installations, or Accounting, each team member knows what is expected of themselves and what to expect from others. And our customers can expect the same level of consistency whether they are calling in to the Help Desk or working with Sales Representatives and Installations Specialists. As Pinnacle grew, so did the need to create a work environment that offered consistency in the way business would be conducted, and to develop a feeling of inclusiveness across the company’s growing number of offices. With that in mind, we began hosting an annual kick-off event to recap on the previous year’s achievements and to get fired up for the year ahead. 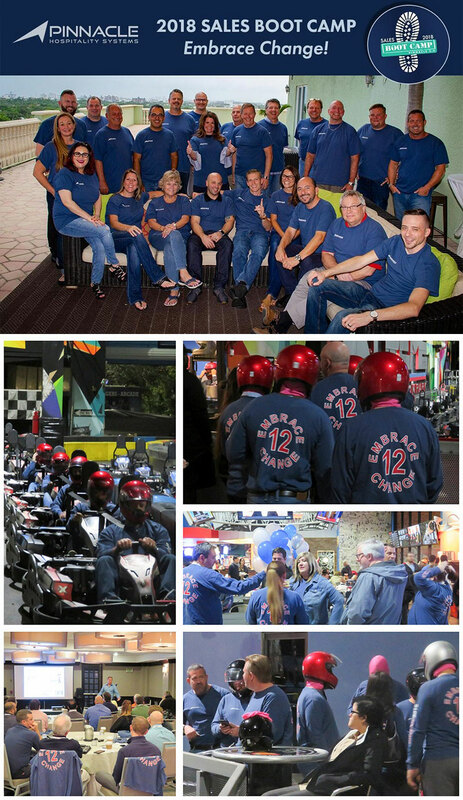 Team members meet in Fort Lauderdale to participate in training sessions, industry-related seminars, and team-building activities. It is a hands-on conference that not only showcases new technology and trends in the point of sale industry, but also brings together team members from every office to encourage strong working relationships through fun and informative group activities. The Pinnacle Way is more than simply a set of rules – It is our culture. Our Fundamentals are woven into everything we do, from hiring to coaching and everything in between. It is this foundation that has contributed to Pinnacle’s success by allowing the company to expand while continuing an unwavering commitment to exceeding customers’ needs.